We’d love your help. 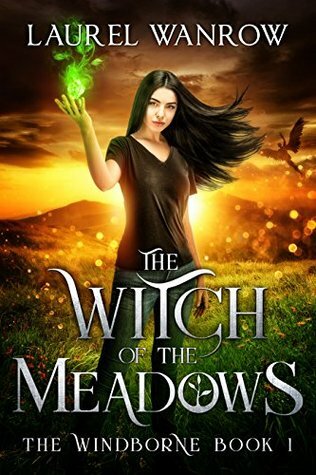 Let us know what’s wrong with this preview of The Witch of the Meadows by Laurel Wanrow. His face flushed red, but Beri shrugged and smiled sheepishly. “Sure.” He brought up his hand, his empty hand, and a ball of rich emerald-green magic appeared. It swirled in clouds of mist, slightly thicker here, slightly lighter in color there, dancing in a mesmerizing play within his long fingers. Above it, Beri watched her. To ask other readers questions about The Witch of the Meadows, please sign up. A touch of fantasy and magic in a coming of age and self-discovery novel, perfect for all ages! Laurel Wanrow’s WITCH OF THE MEADOWS is a delightful read about a girl who discovers family and her true heritage through a magical portal, even as she learns of her own magic and the ties she has to the earth and all of its creatures. Fern has that magical Green Thumb we all crave at one time or another, and secretly stealing through a magical portal, she finds “the meadow” in trouble and her grandmot A touch of fantasy and magic in a coming of age and self-discovery novel, perfect for all ages! Laurel Wanrow’s WITCH OF THE MEADOWS is a delightful read about a girl who discovers family and her true heritage through a magical portal, even as she learns of her own magic and the ties she has to the earth and all of its creatures. Fern has that magical Green Thumb we all crave at one time or another, and secretly stealing through a magical portal, she finds “the meadow” in trouble and her grandmother needs her help to revive the plants and the balance of nature, but it won’t be easy. Fern will be tested along the way, deceived and tricked, but she will learn to trust her heart and herself and the new friends she has made along the way. I absolutely loved how Ms. Wanrow told this magical tale, no over-the-top teen angst, even the villains weren’t too dastardly! I could picture the meadow in my mind, feel the warm breezes and as one who loves to plant and watch the beauty that grows, this was a wonderful fantasy to fall into! I received a complimentary copy from Laurel Wanrow! I loved this story. Fern was pretty awesome. Girl could take care of herself (and take down anyone with her wrestling moves). I loved how she held her own and fought for what she wanted, even when she was at a disadvantage without magic. The Meadows sound like my dream place, and I would like to know how to find a portal there asap. The friends Fern made were so much fun, and I seriously need more Hilda the guinea pig in my life. This ended just the way I wanted, and I look forward to reading th I loved this story. Fern was pretty awesome. Girl could take care of herself (and take down anyone with her wrestling moves). I loved how she held her own and fought for what she wanted, even when she was at a disadvantage without magic. The Meadows sound like my dream place, and I would like to know how to find a portal there asap. The friends Fern made were so much fun, and I seriously need more Hilda the guinea pig in my life. This ended just the way I wanted, and I look forward to reading the next books in the series. Readers who are into magic connected to the earth, plants and wildlife will love this fantasy story about a girl who works hard to become the protector of her ancestor's land. The connection between the island and its caregivers becomes the reader's own. Descriptions of surging magic, wild countryside and plants and animals that live on it are vivid and soothing. Some major and exciting revelations in the story sometimes missed the same detailed attention, though. 👍👍👍👍👍Great New author.🙌🙌🙌🙌🙌 Wonderfully written. Enjoyed every page.😘😘 A must read.📚📚 Strong, likeable characters.👏👏👏 Full of magic and plenty of action.📖📖 Open it up today and you won't put it down until your finished. 🎇Read and enjoy. Disclaimer: I received this book free from the author, this did not affect my review. I’m a city girl. Born and bred. With absolutely no affinity for growing things. It’s the watering you see. I’m in Southern California, and green things are already at a disadvantage in a desert climate where it rarely rains. I, being easily distractable, forget to water for just a short time and the poor plants are goners. That being said, I love a garden. My daughter (just as distractable) and I are planning a Disclaimer: I received this book free from the author, this did not affect my review. The Witch of the Meadows is organic, gentle, and light YA. It’s a mildly fantasy based slice-of-life novel. After my recent read of R.A. Salvatore’s latest brutal book, this was a great palate cleanser. The main character, Fern, is a young woman who has lived her life in the normal world. She has recently come into contact with the magical side of her extended family as well as with the community that is a part of her heritage. She is at a loss to understand how the people she comes from are tied to the earth, and the power they share with it. As a Native American, whose family moved away from our homeland and lost our ties to the culture generations ago, I can commiserate with the sense of lost magic and disconnection. Hers is a much more literal disconnection and much of the book focuses on her efforts to become useful to her people. I’m a fan of Ms. Wanrow’s books, and I’m enjoying this series. Fern in particular reminds me a lot of a friend of mine. Tall, dark haired, she is both physically and emotional strong. She is sincere and generous, but still quite young. I’m interested to see how she changes as she gets older and gains more responsibility. I like a lot of the other characters and I hope to see their personalities become more developed in future books. I’m particularly interested in Raven. He’s complicated. I’ll be interested to see how the series evolves. This is a wonderful YA tale about a 17 year old Fern who lives with her mother and does not remember her father. Her mother is tight with details. She builds a relationship with her gran after finding a small glass globe in her mother's drawer which she discovered transport her from her bathroom to her gran's bathroom. While Fern's mom is busy creating her glass art, or going to art shows, Fern helps Gran in Ireland with her yard and garden. She soon begins to understand that Gran's world is a sp This is a wonderful YA tale about a 17 year old Fern who lives with her mother and does not remember her father. Her mother is tight with details. She builds a relationship with her gran after finding a small glass globe in her mother's drawer which she discovered transport her from her bathroom to her gran's bathroom. While Fern's mom is busy creating her glass art, or going to art shows, Fern helps Gran in Ireland with her yard and garden. She soon begins to understand that Gran's world is a special and magical place. She meets a few "people" of her age, but they can fly or have other magical powers. One of them is very special to her, Beri. He is tall like her and they become attracted to each other instantly. Gran sets her up for a test and instructs Fern to get her mother's blessing to become a member of the magical society and care for the gardens on her property. How does Fern explain to her mother what she has been up to? And does she need to explain about Beri? 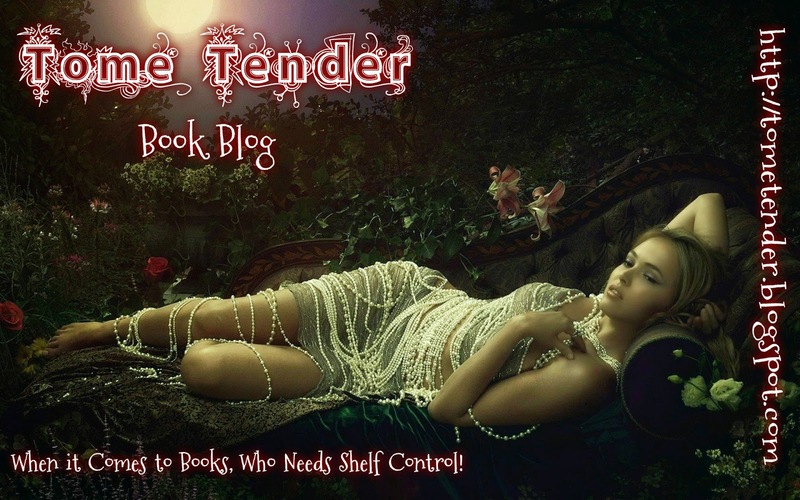 The end leaves the reader wanting more. I'm already a big fan of Laurel Wanrow's previous works and this new series, is definitely as good as the rest and all on it's own a great start to a new series!!! I loved the fantastical element to the Isle. There was so much great plant terminology and references, as Wanrow is always good at descriptions like that, and I loved the characters she painted for us as well. Fern is a great heroine and a character you just can't wait to see what will continue to happen to her and her story. Raven was a pleasant surprise, as was Merlin, Willow and Beri!!! I loved Beri! I can't wait to see what more will happen with Beri. I understand Wanrow's want to make it more "PG", however, I enjoyed it either way, and I like when more romance is present, however, I didn't even miss it that much in this book because Fern and Beri story was still cute and believable! The Witch of the Meadows is the first book in the Windborne series by Laurel Wanrow. It is a YA fantasy book with some romance. The main character is Fern Fields, and you meet her in the middle of juggling hiding secrets from her mom and helping her Gran with a mysterious project that even she doesn’t know the full scope of. As she discovers more about her trial, she meets some new friends. I would have liked more development in these friendships, but as this is only book one, I’m hopeful that we’ll see more of them in the next books. Sometimes the conflict in this book was confusing to me. I didn’t always understand exactly what was going on with the rips and rip energy, but overall the book was a quick, fun read. I would read future books in this series. I was given a copy of this book by the author, but all reviews are my honest opinion. This is the first time I have read this author. From what I have read in this wonderful YA book. Laurel Wanrow is a wonderful writer. I am enjoying this new magic series and I highly recommend it to anyone who loves a great YA book. Great story full of different magic. The characters are wonderful and the semi-hidden world they live in is rich. Before kids, she studied and worked as a naturalist—someone who leads wildflower and other nature walks. During a stint of homeschooling, she turned her writing skills to fiction to share her love of the land, magical char Laurel Wanrow loves misty mornings, the smell of freshly dug earth, petting long-haired guinea pigs and staring at the stars. She sees magic in nature and loves to photograph it.